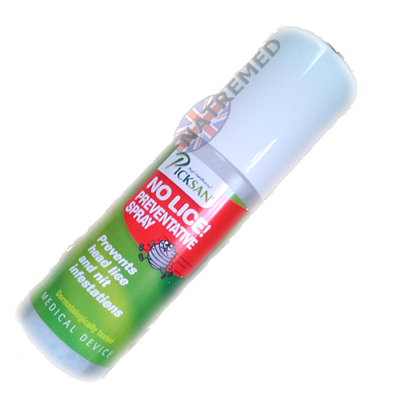 Picksan No Lice contains a well balanced amount of odourless compounds which are completely safe to use. 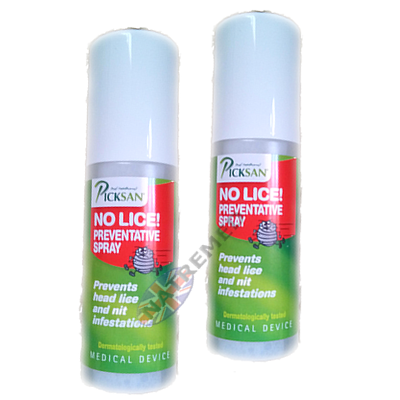 Through this combination of natural active ingredients it is almost impossible for lice to become resistant to Picksan No Lice. 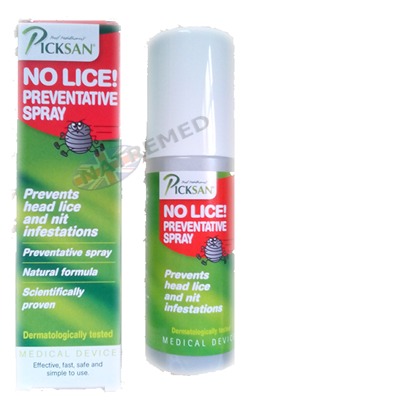 Picksan No Lice preventive spray is easy to use: you spray it on dry hair before you or your child (use from 2 years) leave home, then you’re protected for about 7 hours against head lice infestation. Through the nature-based formula the spray can be used daily without any problems. 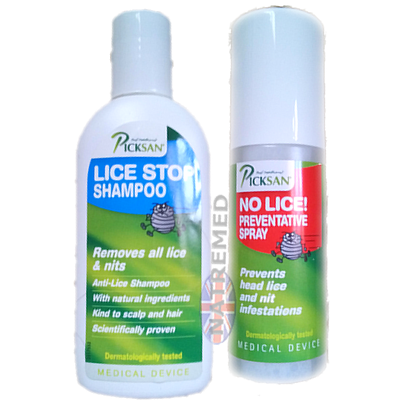 However, it is advisable to use Picksan No Lice only during risk periods or when there is a lice infestation in your environment (at school for example). 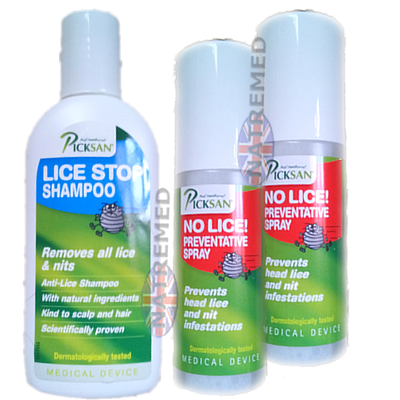 Picksan No Lice was developed by Professor Melhorne an internationally recognised parasitologist. 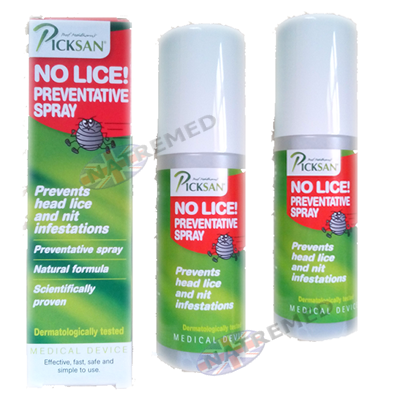 Picksan No Lice contains a MelAza extract which by nature lice find difficult to become resistant to. MelAza Extract (2.2%) (obtained from seeds of Azadirachta indica). P-menthane-3,8-diol (1%) (The substance occurs in nature in the oil of the Eucalytus-plant Corymbia citriodora ssp. Citriodora). Aqua purificata, Ethanol, Glycerol, Polysorbate 80.